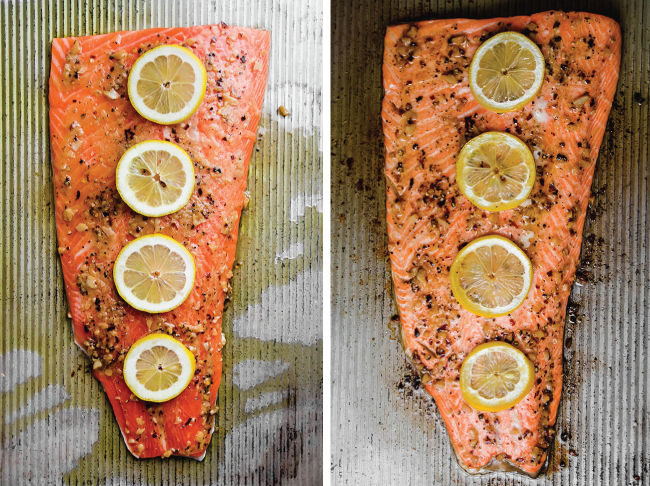 This easy steelhead recipe is ready in less than thirty minutes – perfect for busy weeknights! This post is sponsored by our friends at Pacific Seafood. Busy people of the world! Have iiiiiiiiiiiiii got the most lickety-split-delicious dinner for YOU! We’re working with some amaaaaaaazing (and sustainable! hey-oh!) Columbia River Steelhead Trout today. And we are drenching said Steelhead Trout in butter (and garlic! and lemon!) because everything is better covered in butter. (Yup. I’m pretty sure that’s science). 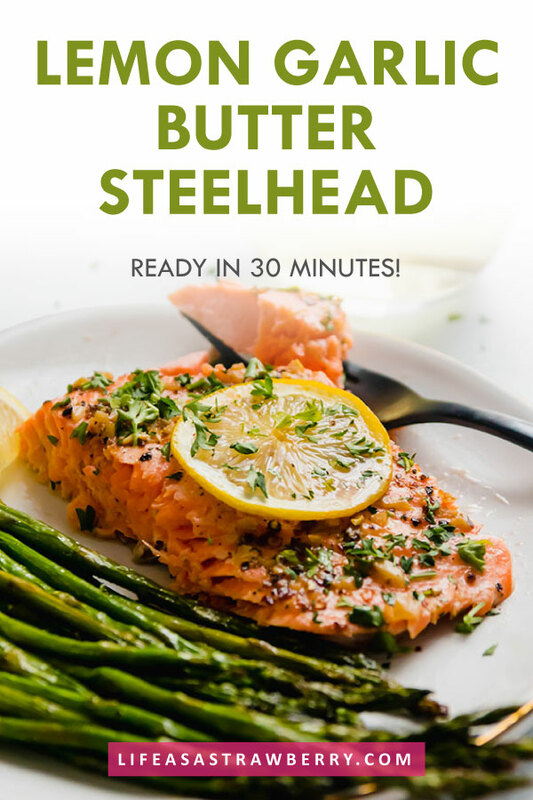 If you’re like “wait, hold up, did you just say TROUT?” the answer is yes – but stick with me, because while Columbia River Steelhead might not be a super-familiar fish, I promise it’s not scary to cook with at all! (YOU’VE GOT THIS). It tastes (and looks!) 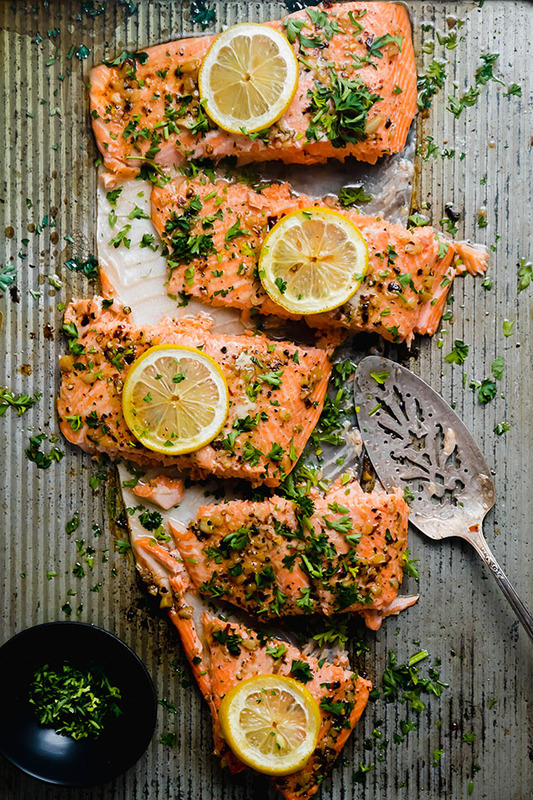 a LOT like salmon – basically, if you like salmon, you’ll probably like steelhead trout. 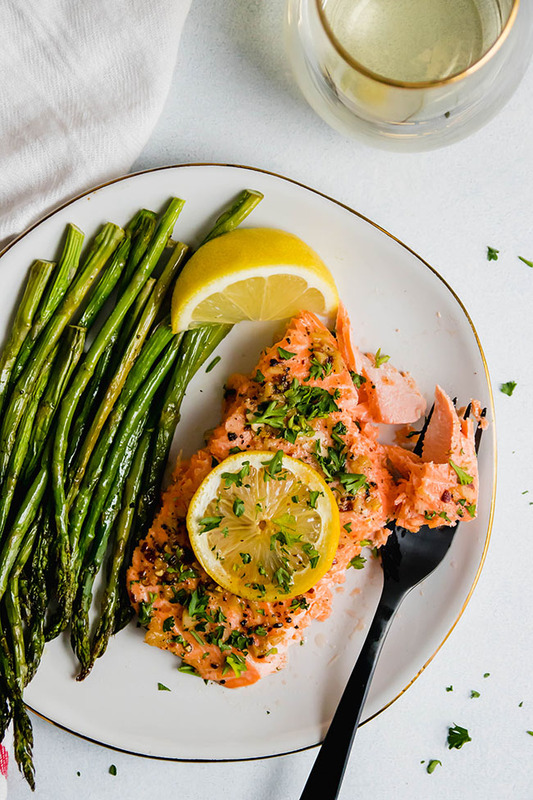 Steelhead packs plenty of omega-3s and other vitamins at a fraction of the cost of salmon – so if you’ve been shying away from wild salmon because of the price point, LOOK NO FURTHER! Steelhead is a great alternative. (Example: Steelhead was $12.39/lb at my store today; Wild Sockeye Salmon was $21.49/lb). The steelhead we’re using today is a farm-raised Columbia River Steelhead from Pacific Seafood. The Columbia River is such a unique place (I grew up close by!) and it shines through in the flavor of this fish. Pacific Seafood raises its Columbia River Steelhead without hormones, pesticides, or herbicides – learn more about their facilities and sustainability practices in this video! But wait. I thought farmed fish was bad? 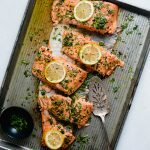 If you’ve been following LAAS for awhile, you’ve likely heard me talk about the importance of choosing wild salmon when it comes to seafood (PS – Pacific Seafood also sells Wild Salmon! Get it get it). 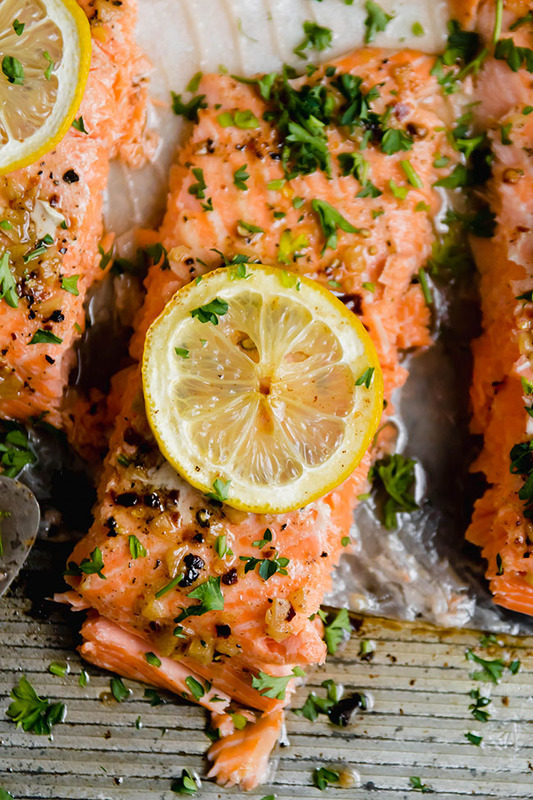 And while I still absolutely recommend you choose wild salmon, here’s the hard thing about sustainable seafood: There’s no one-size-fits-all sustainability checklist. Different seafood species have different needs, which means they impact their environment in different ways. And with a growing world population, there’s also a growing need for protein – a need that wild fish and land-based protein alone can’t support. So. Is steelhead trout sustainable? This particular steelhead is a certified “Best Choice” from Monterey Bay’s Seafood Watch program (WOOT). 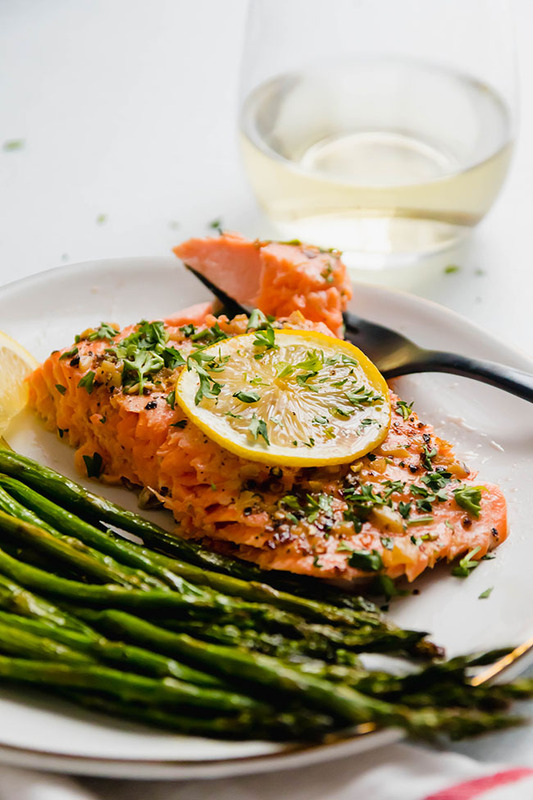 Pacific Seafood’s farm-raised steelhead also has a Best Aquaculture Practices (BAP) certification from the Global Aquaculture Alliance – basically the industry standard for sustainable aquaculture. Fun Fact: Pacific Seafood was actually the first U.S. salmon/steelhead farm to be BAP certified! SO. Shall we talk about this easy-peasy-lemon-squeezy (FOR REAL, THOUGH! There’s a lemon in there) Garlic Butter Steelhead recipe? Ready in 30 minutes! I GOT YOU. 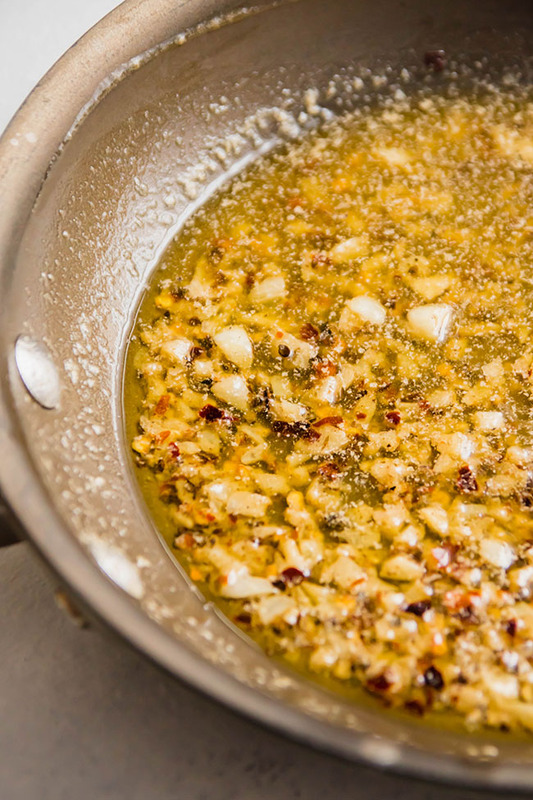 Butter + Garlic + Lemon + Red Pepper Flakes = the BEST quick sauce. Add some grated parmesan, lemon zest, or rosemary if you’re feelin’ fancy. Perfect alongside roasted veggies, pasta, mashed potatoes, or rice. It also keeps well in the fridge – toss any leftovers on a quick salad or into your scrambled eggs the next day! PS: If you’re in the mood for an all-the-feels video about EXACTLY how this steelhead is raised – from the hatchery to the farm to the processing plant – check out this video! It’s basically like a visit to the Pacific Seafood Steelhead Farm. Except you can be on your couch in your sweatpants. Thanks again to my friends at Pacific Seafood for sponsoring this post. 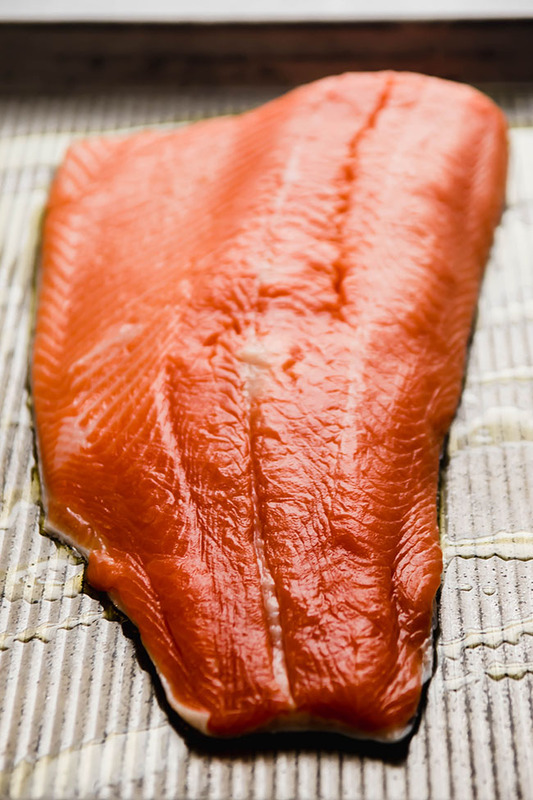 Click here to find Pacific Seafood at a store near you, and don’t forget to check out this video to see exactly how their steelhead is raised, harvested, and processed!